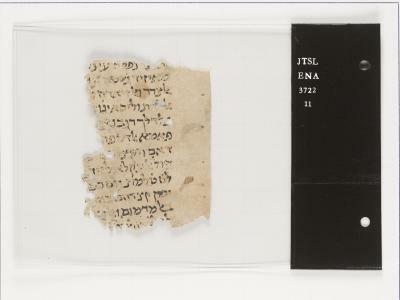 The purpose of phase I of Scribes of the Cairo Geniza is to sort Cairo Geniza fragments in order to prepare them for transcription in phase II (launching Spring 2018). In this phase, you will sort fragments into different categories based on their script types: whether they are written in Hebrew or Arabic scripts and formal or informal scripts, and whether they contain specific visual characteristics. This information offers clues to the type of text a fragment contains. Having this information for the entire corpus will allow us to sort the fragments into workflows for the transcription tasks in phase II. For more on the characteristics you’ll be looking for and what they can tell us, see the Field Guide. The results from Scribes of the Cairo Geniza have the potential to rewrite the history of the premodern Middle East, Mediterranean and Indian Ocean trade, and the Jewish diaspora. Until now, most of the information has remained locked away in undeciphered manuscript fragments; less than one-third of the 350,000 items have been catalogued in the 120 years that the cache has been known to exist. Virtually all scholars who have studied these texts have come away with a transformed sense of the history of the region and the long ties of intimacy among its people. Students and the general public will have the opportunity to benefit from encountering these fragments online and from learning how to sort and eventually transcribe them as members of this citizen scientist community. We see this project as a way for people with shared interests and different skill levels from around the world to meet in a common endeavor and unlock this storage chamber of ancient fragments.